Tomato bushy stunt virus. 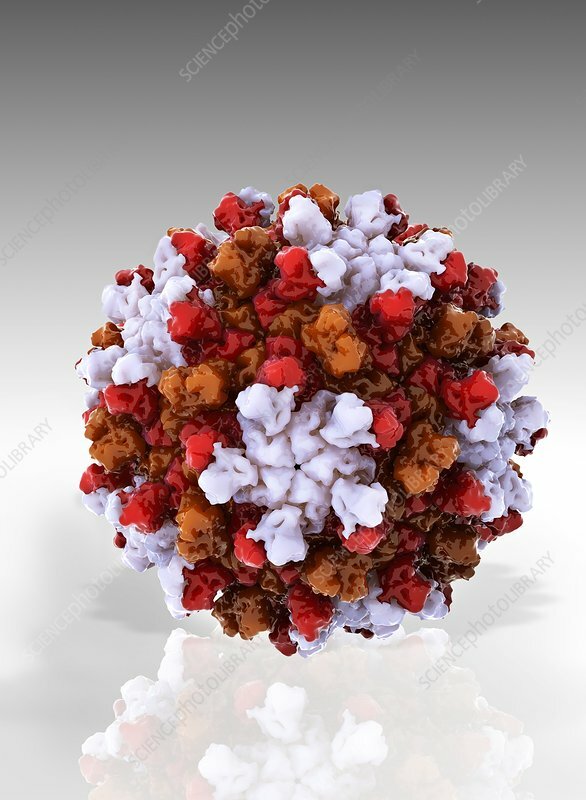 Computer model showing the molecular structure of a tomato bushy stunt virus (TBSV) capsid (outer protein coat). This plant virus is a tombusvirus, and has an RNA (ribonucleic acid) genome. It was first identified in 1935 in the tomato plant (Lycopersicon esculentum) but also infects bell pepper, potato, tulip, apple and pear plants. Symptoms are bushy plant growth with fewer and smaller fruits. The virus is transmitted on seeds and possibly pollen.